Roper is a typeface created & published by Andrew Footit which comes in two version (Sans & Serif), each version has three option (Regular, Press Light, Press Heavi). 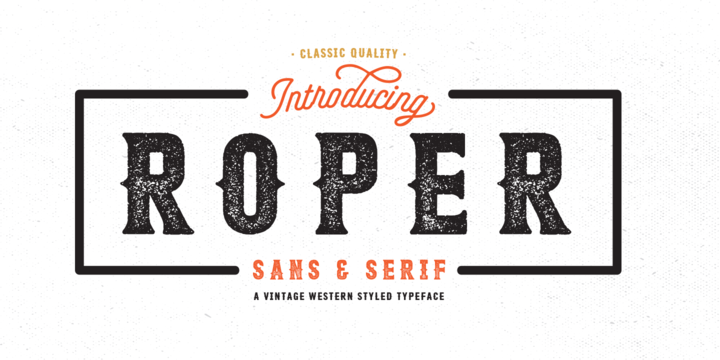 This vintage western font can be used for things such as display, poster, retro projects etc. A font description published on Thursday, November 27th, 2014 in Andrew Footit by Alexandra that has 7,742 views.